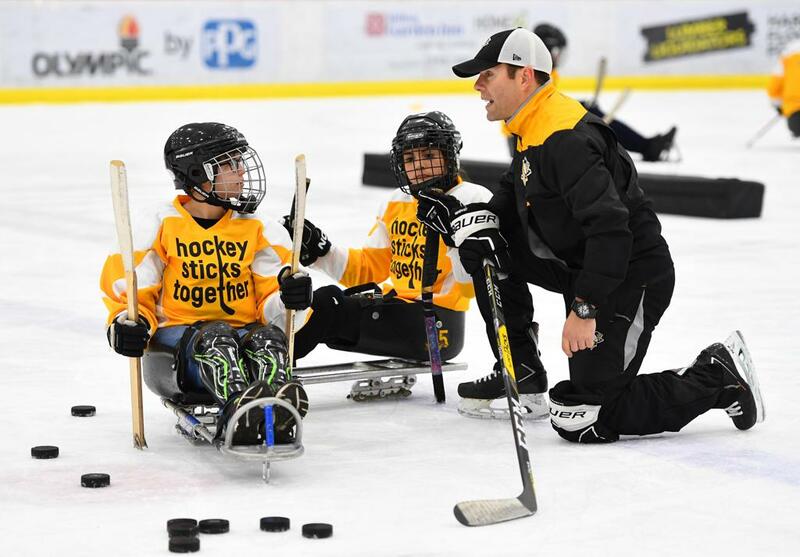 Sled hockey is a fast-growing, internationally recognized sport and a premier event in the Paralympic games. It provides an opportunity for physically challenged individuals to play competitive ice hockey. 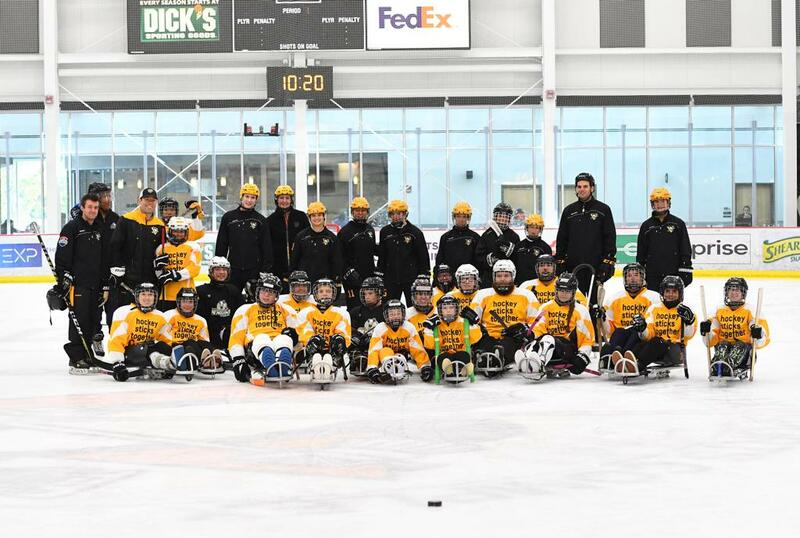 Getting a good workout, building self esteem, and being part of a team are just a few of the benefits of sled hockey. Players take to the ice on sleds fitted with blades. They use shortened hockey sticks with picks on the end to move along the ice and control the puck. The Mighty Penguins were formed by volunteers from Shriners Hospital in Erie in May 1998. Initially, the goal was to provide children and young adults, who had physical disabilities, the opportunity to participate in a competitive sport. The parents and guardians of these players have seen firsthand the physical and emotional benefits of the program. Many local organizations have helped our program by donating ice time, equipment, customized hockey gear, and insurance. Individuals throughout the area volunteer their time and talents to educate and assist our athletes. Thirteen years later, we continue to build on this existing foundation of support by increasing player involvement and expanding the number of teams competing locally. This year alone, we registered on our roster 3 teams that included youth, junior, and adult players. These teams competed in tournaments throughout Canada and the United States. Players on our team are achieving tremendous success and recognition nationally and internationally. Josh Wirt is a 2002 Paralympic Gold Medalist. In addition to playing with the Mighty Penguins, Daniel McCoy was selected to be on the 2010 USA National Men's Team. Daniel Hefley and Nevin Gray were selected for the 2010 USA Junior National Team. In 2017, Harrison Burgess was selected to the USA National Development Team. Kids Helping Kids! Andrew Rich raises over $3000 for our Mighty Pens! Andrew Rich, an 8th grader in the Fox Chapel school district, organized a fundraiser game to benefit the Mighty Penguins for his Bar Mitzvah project. Pittsburgh Penguins Skate with Our Mighty Pens! NHL greats hit the ice in sleds to share our love of the game!